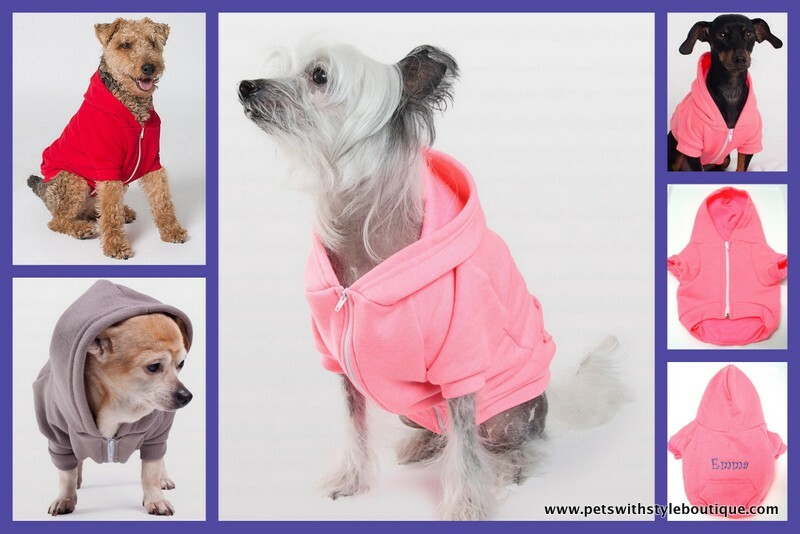 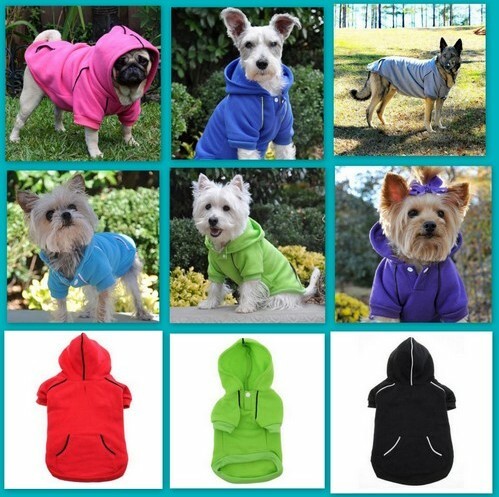 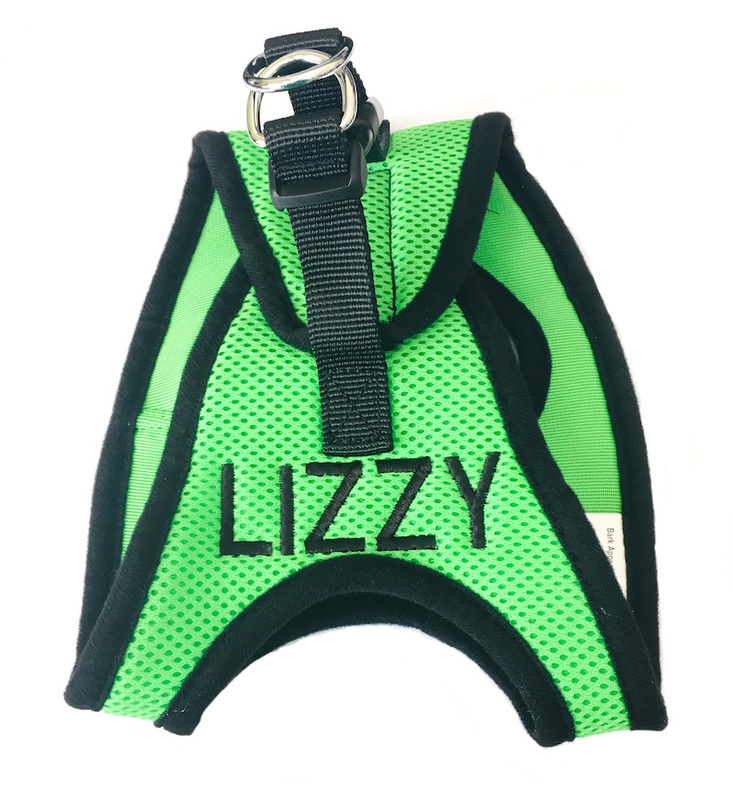 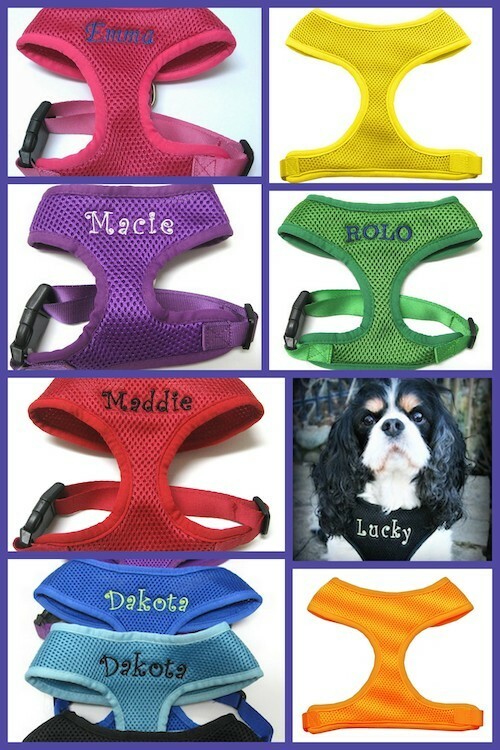 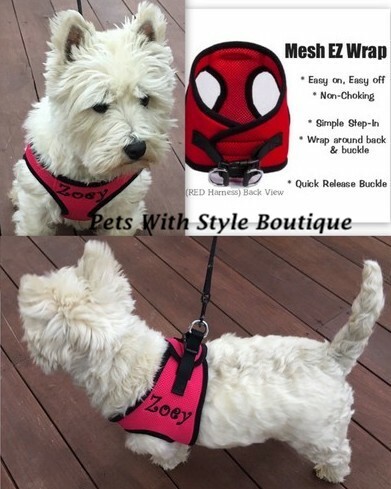 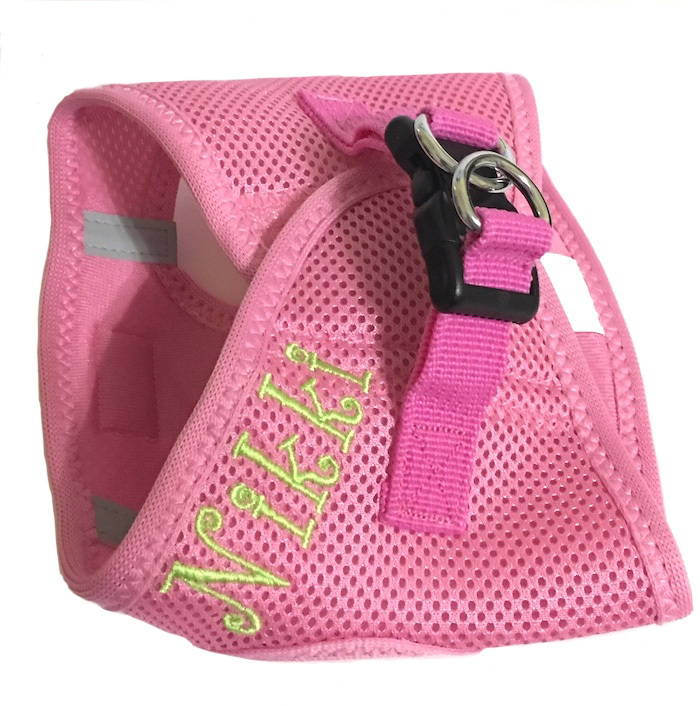 EZ Wrap Step in Dog Harness Plain or Personalized with your pet's name custom embroidered on the chest, back shoulder or side. 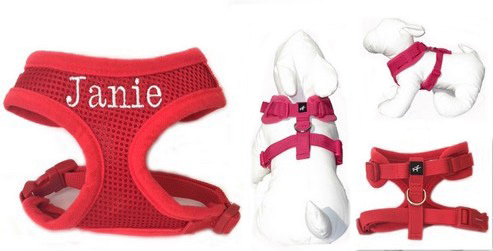 This harness is best suited for walks, rather than wearing all the time due to the double D rings in back. 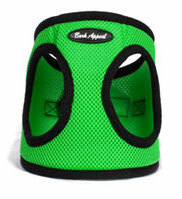 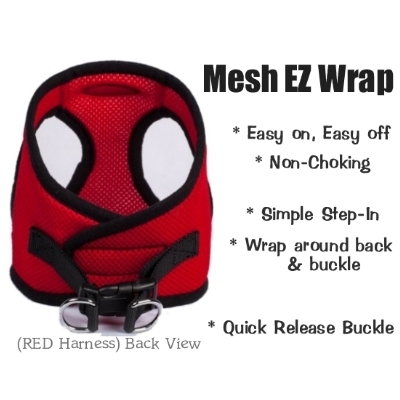 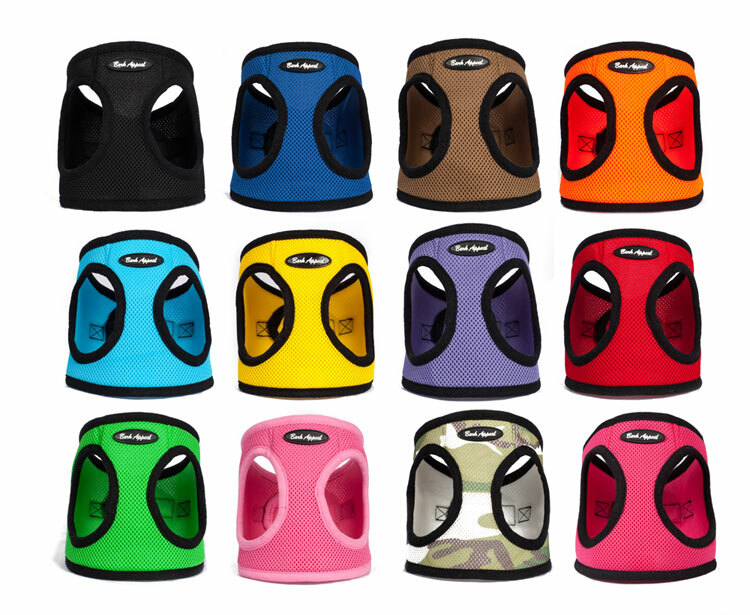 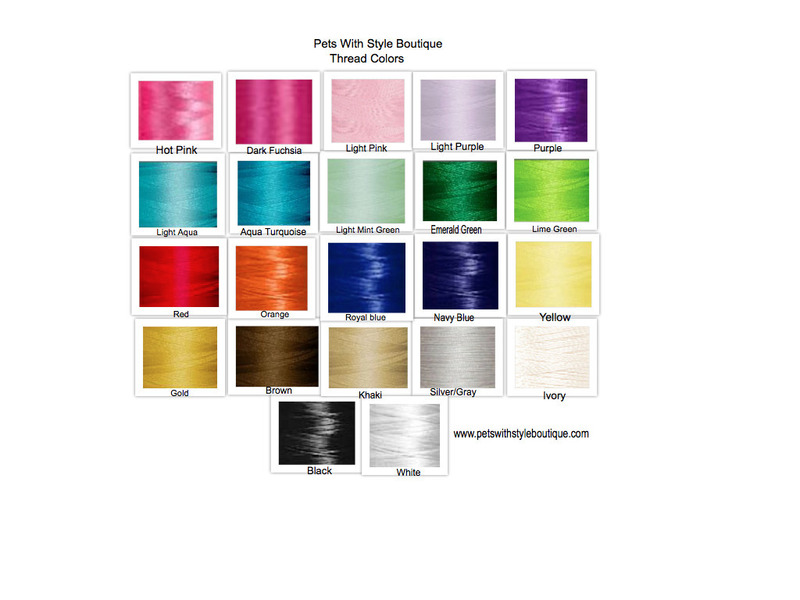 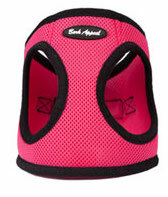 Our Step in EZ Wrap Harness is made with high quality mesh material that creates a soft comfortable fit.